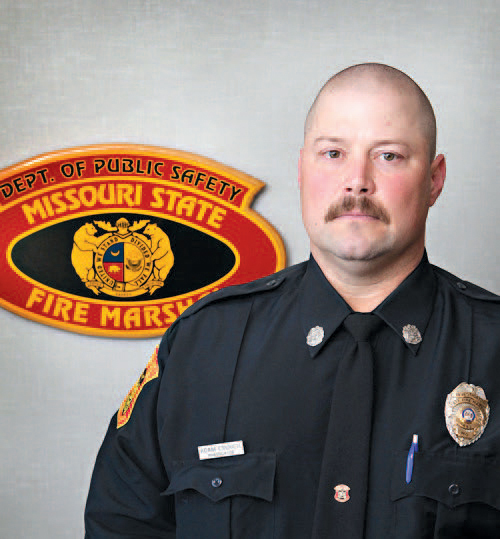 Fire Marshal’s Update – November 2017 | F.F.A.M. Greetings from the thirteenth floor! “Every Second Counts Know 2-Ways Out,” just in case anyone in the Missouri Fire service missed Fire Prevention Week, on October 8-14, that is the theme for this year. I posted several pictures promoting fire prevention week in my own way with facebook posts, but kind-a got a scolding from one of my good friends (Cindy), who stated “Chief it’s fire prevention all year long!” I agree Cindy! I hope we as the Missouri Fire Service can say we promote fire prevention all year long! We celebrated the Division of Fire Safety’s 45th anniversary on Wednesday October 25, with a noon pot-luck lunch. We discussed it around the office and decided to have a big blow out for the 50th. We were honored to have former Fire Marshal’s Bill Farr and Randy Cole join us. I have added some pictures from the 25th anniversary for your entertainment, enjoy! Thanks for everyone across our state that have supported the Division of Fire Safety for the last 45 years! The following is bittersweet, but we lost a good man to retirement. Director David Hedrick retired from the MU Fire and Rescue Training Institute after 10 years of service. I appreciate Dave’s vision and stellar leadership during his tenure with MU FRTI. 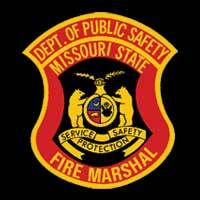 The collaboration of the institution has enabled safer firefighters, safer citizens, and safer communities in Missouri. Thanks for your devotion and commitment. I wish you many years of good health and you are always welcome to the 13th floor. I want to congratulate Kevin Zumwalt to his appointment as Interim Director. Kevin has served as Associate Director for a number of years, and we are confident he is able to carry the torch into the future! Congratulations to one of our own! Fire Investigator Adam Crouch. Adam was awarded the Department of Public Safety Employee of the Month for November. Adam was chosen for his outstanding investigative work and commitment to his community. When Adam is called to a fire scene he goes above and beyond his ability to ensure the work is complete and is committed in finding the suspect(s) relating to the case. Adam is always willing to assists other agencies anyway he possibly can. This summer, Adam was instrumental in getting medical crews to assist a person on the river in need of immediate medical attention. In Adam’s spare time, he helps organize an event between the police officers and firefighters to raise money for the YMCA Back Pack Buddies Program, which helps fund a lunch program for school children. Adam lives in Chillicothe with his wife Lora and their three children. That is what I call “Best Boots on the Ground,” and leaving things better than you found them! 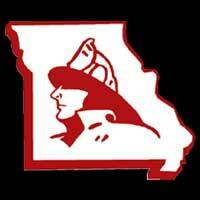 The Division of Fire Safety Salutes to Service for October goes to four members of the Lee’s Summit Fire Department; Captain Tom Loy, Paramedic Jacob Wiemann, Battalion Chief Arby Todd and Fire Specialist Craig Hill, all of who volunteer their time to the Heartland Honor Flight program. From left to right: Captain Tom Loy, Paramedic Jacob Wiemann, Fire Marshal Tim Bean, Battalion Chief Arby Todd, and Fire Specialist Craig Hill. Lee’s Summit FD. Heartland Honor Flight flies approximately 90 veterans of WWII, Korea and Vietnam, to Washington, D.C. twice a year. The day is filled with seeing the war memorials, Arlington National Cemetery, and each branch of the military’s memorial. The day begins at 4:30 a.m. and ends at 10 p.m. for the veterans. Being able to give back to the veterans who have made this country what it is today makes the day memorable for all. 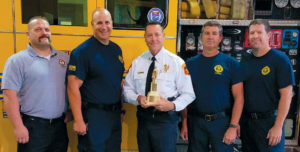 Captain Loy has been with the Lee’s Summit Fire Department for 30 years, serving 17 of those years as a captain. 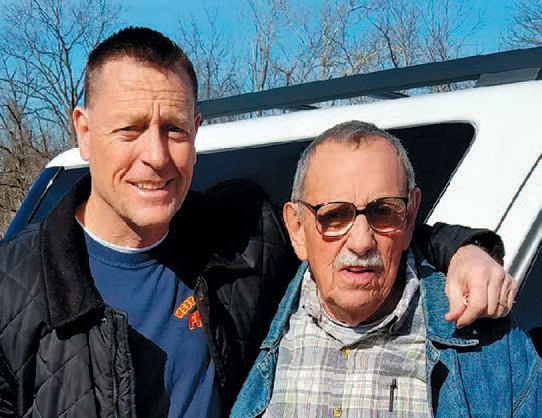 Captain Loy is a veteran of the U.S. Marine Corps and has flown with Heartland Honor Flight nine times as the staff lead paramedic. Battalion Chief Todd has been with the Lee’s Summit Fire Department for 18 years, serving three of those years as a battalion chief. Battalion Chief Todd is a U.S. Army veteran and has flown with the Heartland Honor Flight three times as a staff paramedic. 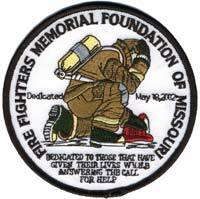 On a sad note we lost two members of the Missouri fire service recently. Garrett Angel Paiz from the Noel, Missouri, Fire Department lost his life while fighting the wildland fires ravaging the State of California’s Napa Valley. He was a contracted wildland firefighter for the California Department of Forestry and Fire Protection. Garrett was 38, he left behind a wife and daughter. Firefighter Paiz had been with the Noel Fire Department for the last year. Our condolences go out to his wife and family. 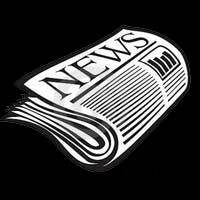 Richard Geigar Bird, 74, of Clifton City, Missouri, passed away October 21. Chief Bird helped start the Clifton Fire Department over 40 years ago, and was active upon his passing. While attending his visitation I discovered he had a great passion for the department, which he has passed on to his son. Thanks Chief for over 40 loyal years of service to the department and the Clifton community. God bless you and your family! We lost maybe one of the most well-known Fire Chiefs ever. Retired Phoenix Fire Chief Alan Brunacini. Chief Brunacini served as chief for 28 years, joining the Phoenix Fire Department in 1959. Prior to becoming fire chief in 1978, Brunacini held every sworn position in the organization including a firefighter, engineer, captain, battalion chief, according to Fire Chief Kara Kalkbrenner. Brunacini was the pioneer of the current National Standard on Firefighter Safety, NFPA 1500 and had also co-authored nine books pertaining to fire service. We will miss his presentations at MU FRTI Winter Fire School. Thanks for your years of service Chief, we will take it from here! History was made on the 13th floor Thursday, October 26. The training and certification unit pushed out the first ever NFPA 1403 “Live Fire” training and certification class. We are happy that 52 firefighters/instructors from all across the state converged here on the 13th floor. They worked through the classroom and practical skills portion and finished by taking their state certification examination. I spoke with several of the students and they expressed overwhelming approval of the class. With more certified, NFPA 1403 instructors across the state this should help fire departments, training academies, etc., with finishing there Firefighter I and II programs in a timely manner. 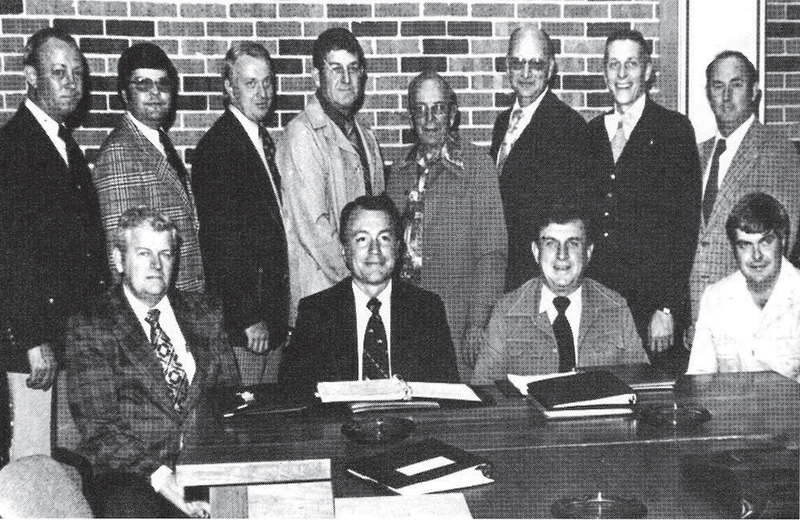 Members of the Missouri Fire Training Advisory council are shown at a meeting in Jefferson City on October 26, 1976. 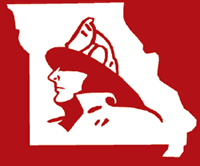 The advisory council was orga­nized by the Missouri Department of Public Safety to assist in developing adequate fire education and training opportunities for Missouri fire service agencies and personnel. Council mem­bers include, front row, left to right: R. Gene Nichols, Springfield; Bill Westhoff, Jr., Columbia; Robert Morrison, Jefferson City; Robert Rennick, Colum­bia. 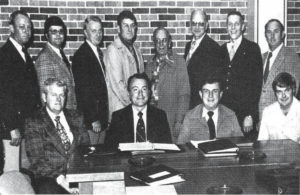 Back row, left to right: Robert E. Mertz, Creve Coeur; Richard A. Dyer, Warrensburg; Larry E. Prall, Kearney; Joseph A. Jackson, Carrollton; Francis S. Austin, Kirkwood; Louis Gray, Jeferson City; William Markgraf, Co­lumbia; and Gail L. Chatfield, St. Louis. We are the second state to offer this class and certification in the nation. I am very proud of Becky and her team along with numerous others across the state that assisted us with this daunting task. Job well done! If you are interested in attending a NFPA 1403 class, contact the training/certification unit. We are entering the holidays and winter months. I would encourage you to let your communities know about checking there flues, operating space heaters, extension cord uses, candles, holiday decorations, etc.,. Use social media, local radio/television stations, and signs out front of your fire stations to help spread the message. An ounce of prevention is worth a pound of cure! The family of the Division of Fire Safety wants to be the best boots on the ground, day in and day out! In saying this, please feel free to reach out to us if there is something you need; we have top shelf staff here on the 13th floor, along with our field inspectors, arson investigators, boiler, and elevator inspectors who are in the field to help you with questions or issues. Feel free to contact us.